ElectroSpit Inc. released Talkbox Synth. This is an amusing app designed for use with their $500 ESX-1 mobile Talkbox, arriving in April 2019. The iTunes description says you can use this with any Talkbox though. The demo makes this look like a lot of fun, but Jesus, $500? Also, the ESX-1 name is already taken. Talkbox Synth by ElectroSpit is designed from the ground up for playing talkbox on the ElectroSpit ESX-1 mobile talkbox or any traditional talkbox, and comes with the perfect talkbox sound. 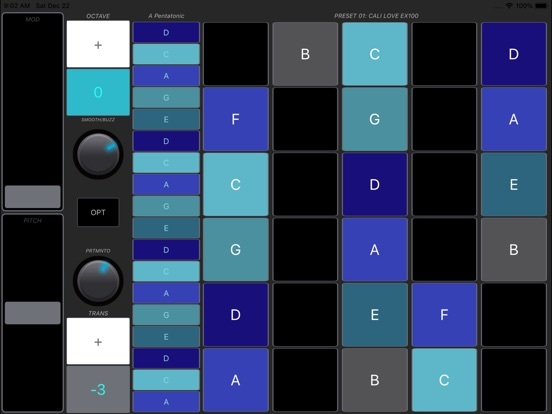 The user interface is optimized for playing pro-quality melodies with a keyboard layout that lets you fly. 30 keys on your phone screen give you more room to express yourself. Easily add vibrato, modulation and pitch bends by dragging your fingers side to side or with the on screen pitchbend and modulation wheels to increase the funk and soul in your talkbox sound. No musical training? No problem! Just slide your finger on the Jam Stack and get funky. The intuitive Jam stack allows you to improvise in one of 9 popular scales in any key. Enjoy search engine obscurity, I guess.. Seriously. How did no one point this out to them? Well...the Korg ESX has been out of production for a while. I don't think anyone is going to confuse the two. How many products have a version of x0x in the name? I jumped on the kickstarter for the mobile talkbox myself early. It was less than $200. I don't think it will ever be sold at a full $500 really.